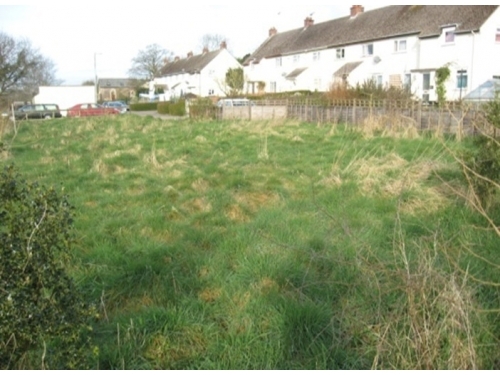 Geo Environmental Group were commissioned by Mid Devon District Council (MDDC) to undertake the assessment of a parcel of land under the requirements of the Environmental Protection Act 1990 Part 2A. The land was owned by MDDC who originally owned an adjacent housing estate when it was built in the 1950’s, but it is now mostly privately owned. The site was utilised by the MoD in WWII, and MDDC were concerned that contamination and/or ordnance may be present in a landfilled area of the site posing a potential human health risk. GEG undertook an initial Phase I Desk Study of the site to determine whether there was any evidence of historical activities that could potentially have created a source of contamination. Historical maps indicated that the site was undeveloped agricultural land with the adjacent development of a council estate in the 1950’s with no evidence of an MoD facility. However, an aerial photograph from 1947 indicated significant eathworks, a large track and what appear to be the footprints of former structures in the area of the site, also covering the south of the subsequent council house estate development.